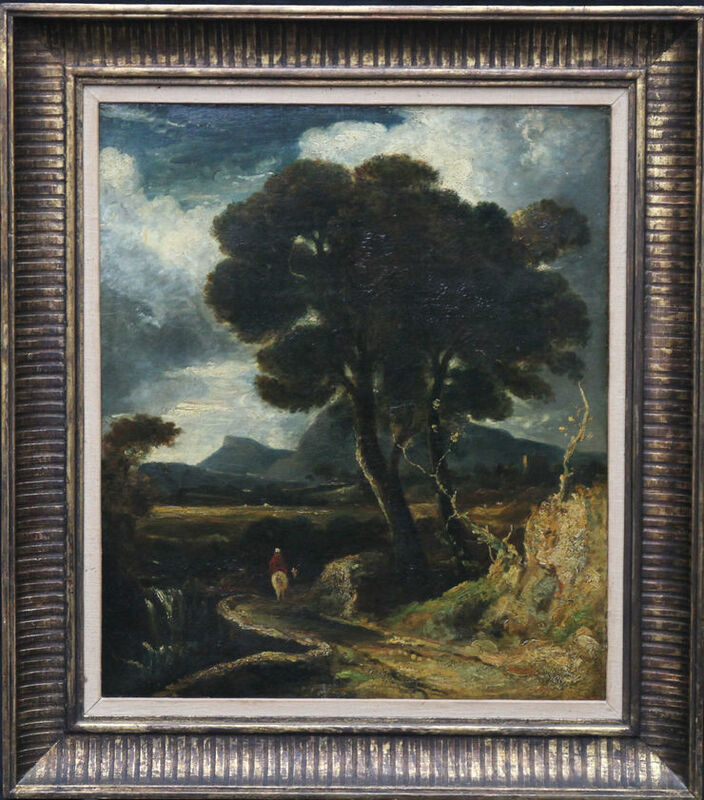 This Old Master oil painting is attributed to the circle of British artist John Crome. The painting depicts in the foreground a rider in red on a white horse passing over a bridge beneath trees with an extensive mountainous landscape behind. The light and heavy impasto beautifully illuminates the flora and fauna in the foreground. This painting has been through Christie's on three separate occasions over the years as indicated by three different Christies stamps verso. It was painted circa 1820. Christies London. Auction stamps verso. Housed in a gilt frame, 31 inches by 27 inches and in good condition. 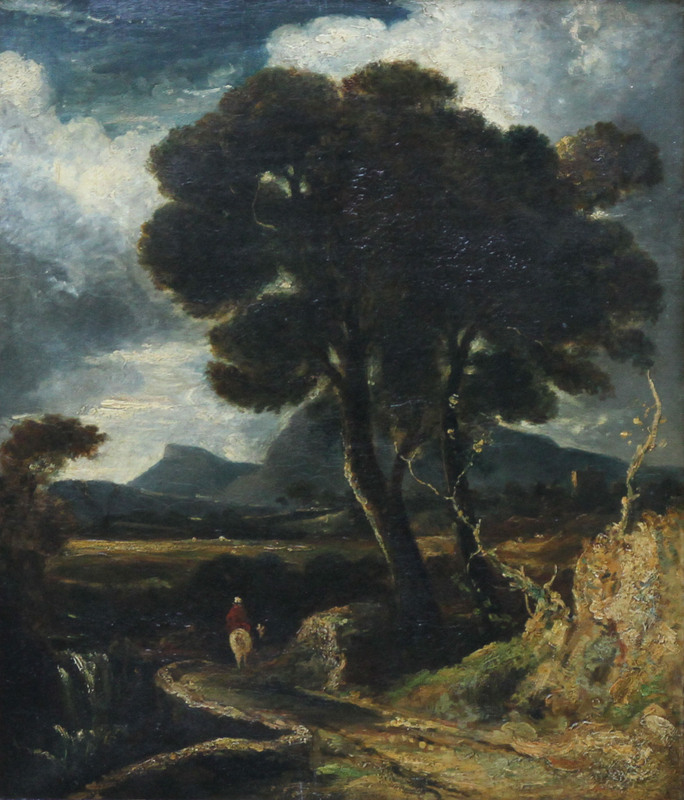 John Crome (1768-1821) was an English landscape artist of the Romantic era and one of the principal artists and founding members of the Norwich School art movement. He lived in Norwich for all his life and most of his works are Norfolk landscapes.